We’ve got you sealed! In addition to our convenient Easy-to-Use Spray, our Rubber Shield family offers Caulk, Roll-On and Trowel Grade products. 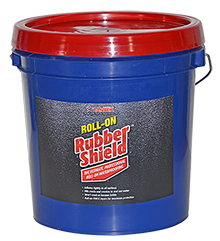 Professionally proven Rubber Shield™ is the better way to waterproof your home, cottage, trailer, boat or job site. Cantex’s cold-applied, Premier Rubber Membrane® has been the professional choice in waterproofing for over 7 years. 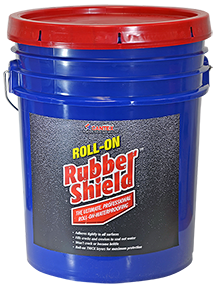 Now, available as a convenient spray, Rubber Shield™ is a major breakthrough for homeowners looking for the ultimate waterproofing protection. 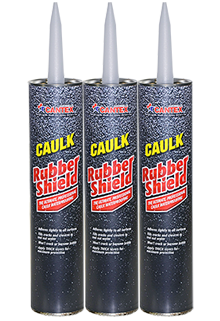 Cantex’s cold-applied, Trowel Caulking Rubber Membrane® has been the professional choice in waterproofing for over 7 years. Now this same professional quality caulk is available to homeowners, looking for the ultimate waterproofing protection. Covers up to 55 linear feet when applied with a 3/16” bead. Ensure crevices to be filled are clean and dry. 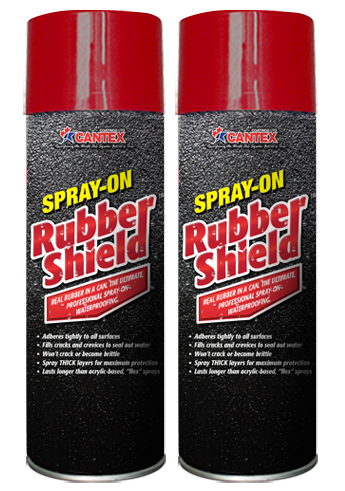 Cantex’s cold-applied, Roll-On Rubber Membrane® has been the professional choice in waterproofing for over 7 years. Now this same professional quality product is available to homeowners, looking for the ultimate waterproofing protection. Apply with a high-nap roller or brush. Covers up to 170 square feet applied at a recommended coat of 5 mils. Can be applied above or below grade. 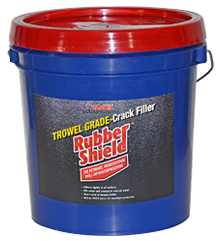 Ideal for larger waterproofing projects and sealing new foundations or retaining walls. Covers up to 850 square feet applied at a recommended coat of 5 mils. Cantex’s cold-applied, Trowel Rubber Membrane® has been the professional choice in waterproofing for over 7 years. 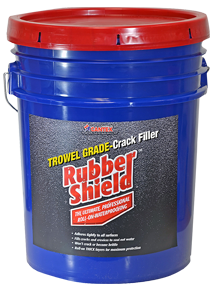 Now this same professional quality product is available to homeowners, looking for the ultimate waterproof crack filler.